There is a dimmer switch panel hidden within the structure that can be manipulated to recreate various light conditions. 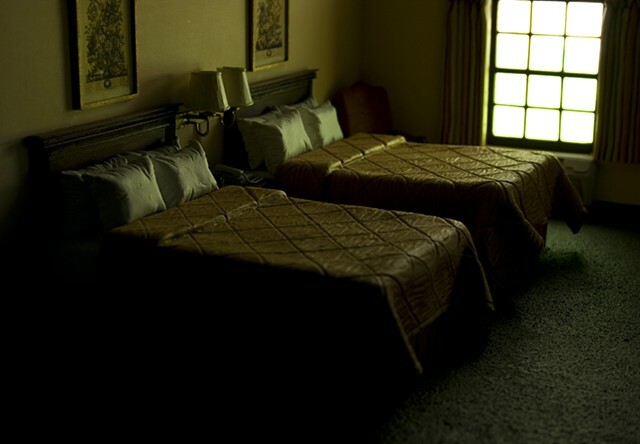 This image pictures the room at dawn, with the interior lights shut off. 2011 PMA Biennial Purchase Prize with support from the Contemporary Art Fund, in memory of Bernice McIlhenny Wintersteen, 2011.14a-d. Image courtesy of the Portland Museum of Art, Maine.